Does Your Roof Have Wind Damage? Then click the link below! Did you know that wind damage in Florida is the most common cause of damage to the shingles on your roof? Even though you may not think that wind can cause much damage, over time, it can be detrimental to your roof for a few reasons. First, when your roof has wind damage it can lead to a whole slew of other problems with your roof, with a leak being one of the most common. Because, when the wind hits your roof in the same spots, over time those shingles will tent, buckle, or rip off depending on how strong the wind is and how often it gets hit. See a great example of wind damage below. Next, when your roof has enough wind damage, as seen in the photo above, it can then start to cause leaks in your home. And, once you have a leak in your home, you will need to get it fixed before further damage occurs. 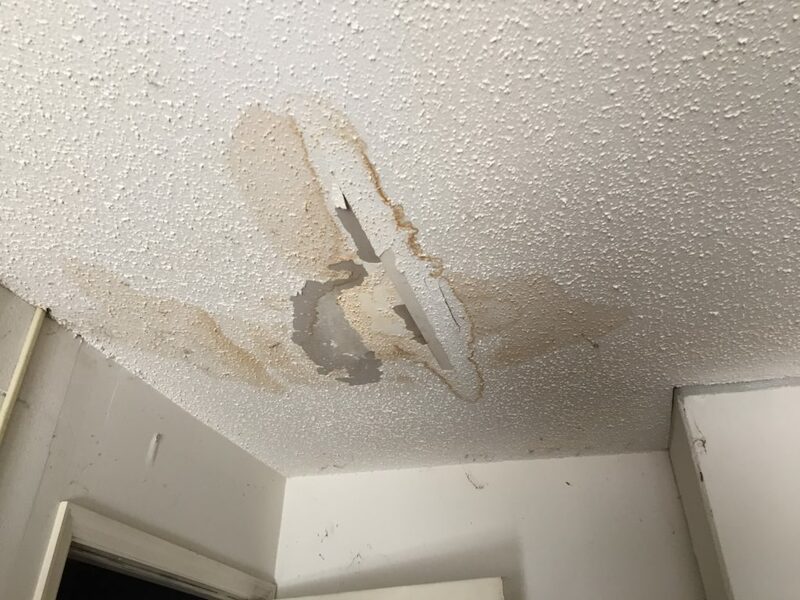 If you let a leak sit for too long, then you could have potential roof and wood rot which will end up costing you more money to repair in the end. If you aren’t sure you have a leak, then give us a call, and we will be more than happy to assess the damage to your roof. Below is an example of a leak that is visible inside the home. 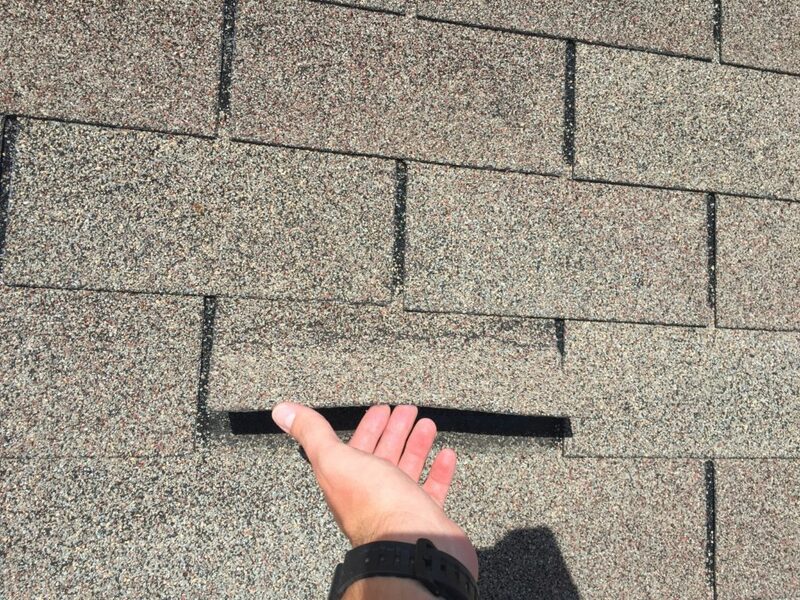 Lastly, another common aspect of wind damage are creased shingles on your roof. 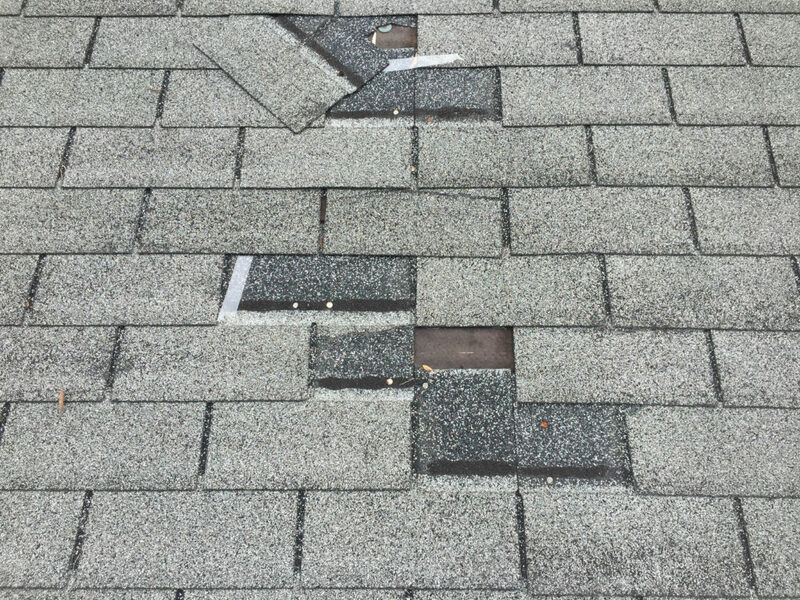 Meaning, the wind is blowing so hard that it gets under your shingle so far that it causes your shingle to start flapping in the wind and causes a crease. If you are unsure what it looks like, then see the photo below of a creased shingle. If you have any questions about wind damage that has been made to your roof then please do not hesitate to call us at 813-835-1209 or fill out the form below and someone will contact you soon.